BAFTA has announced the winners of tonight’s British Academy Games Awards, which celebrated the very best in games of the past year. 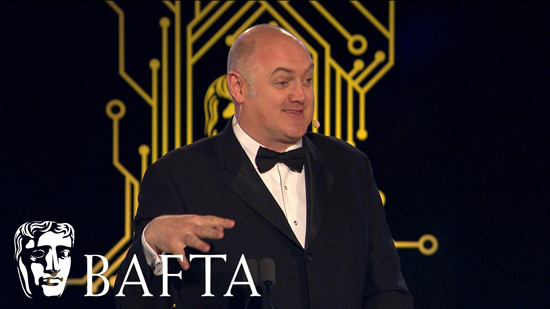 The ceremony was hosted by Dara O’Briain at Troxy, London. What Remains of Edith Finch, the second game from BAFTA-winning developer Giant Sparrow Studios, won Best Game. Giant Sparrow previously won for The Unfinished Swan in the debut game category in 2013. Hellblade: Senua’s Sacrifice, which explores the titular character’s struggle with mental health issues, won Artistic Achievement, Audio Achievement, British Game, Game Beyond Entertainment and Melina Juergens won in the Performer category for her role as Senua. Super Mario Odyssey, the 3D platform game from Nintendo, won Game Design and Family. Another eight games were winners on the night. The hand-drawn story puzzle game, Gorogoa, won Debut Game. Following its win at last year’s awards for Multiplayer, the team-based first-person shooter Overwatch won Evolving Game. Golf Clash, the real-time multiplayer game, won Mobile Game. The Legend of Zelda: Breath of the Wild, the action-adventure game, won the BAFTA for Game Innovation. The role-playing game Divinity: Original Sin 2 won in Multiplayer. Cuphead, the run-and-gun indie game, won in Music. Night in the Woods, the adventure game focusing on exploration, story and character, won the BAFTA for Narrative. The action role-playing game Horizon Zero Dawn won for Original Property. The Fellowship was presented to Tim Schafer in recognition of his outstanding creative contribution to the industry and for his illustrious career in game design. The Awards are supported by industry partners Activision Blizzard, Electronic Arts, SEGA Europe Ltd., PlayFusion, Tencent, Ubisoft Entertainment with ME London Hotel the official hotel partner. CUPHEAD Development Team - StudioMDHR Entertainment Inc./StudioMDHR Entertainment Inc.
PLAYERUNKNOWN’S BATTLEGROUNDS Development Team - PUBG Corp/ Bluehole, Inc.
STRANGER THINGS: THE GAME Development Team - BonusXP, Inc./BonusXP, Inc.
CUPHEAD Chad Moldenhauer, Jared Moldenhauer - StudioMDHR Entertainment Inc./StudioMDHR Entertainment Inc.